The ornaments of the Holy Ka'bah include all forms. 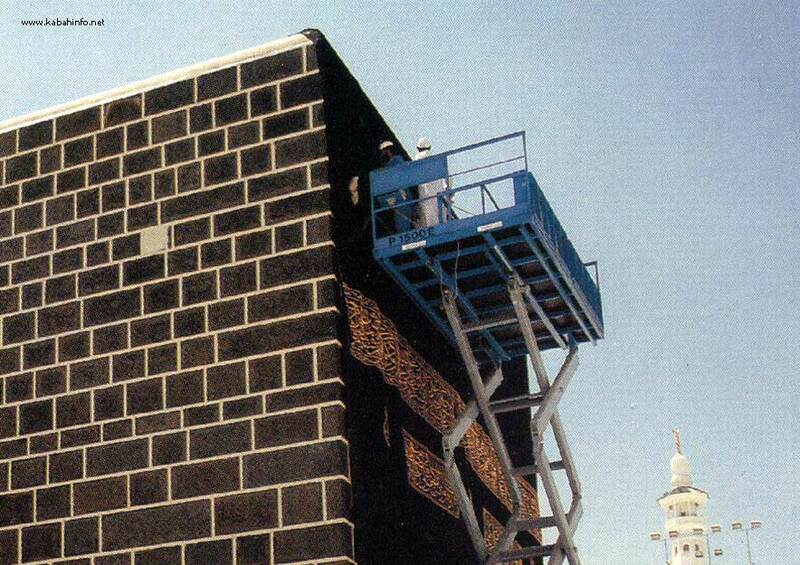 of the beautification and decoration of the interior and exterior of the Holy Ka'bah. The decoration of the Holy Ka'bah includes embellishing some of its parts with gold and silver, such as the interior corners, the waterspout, the door, the interior pillars and the lock. Many of the gifts to the Holy Ka'bah and much of its decoration were subject to loss due to previous torrential floods, demolition and attacks. Nowadays the situation is different and all the properties of the Holy Ka'bah are secure and safe.